What a naturalist on their down time might drink to relax and eat their meal at inns. The Horneater ones got strong Japanese influence because the first thing that popped in my mind's eyes upon hearing the word "Horneater White", was Shirakabe Gura. Because of the word "white". Those are seriously awesome! Nice work. Good job! 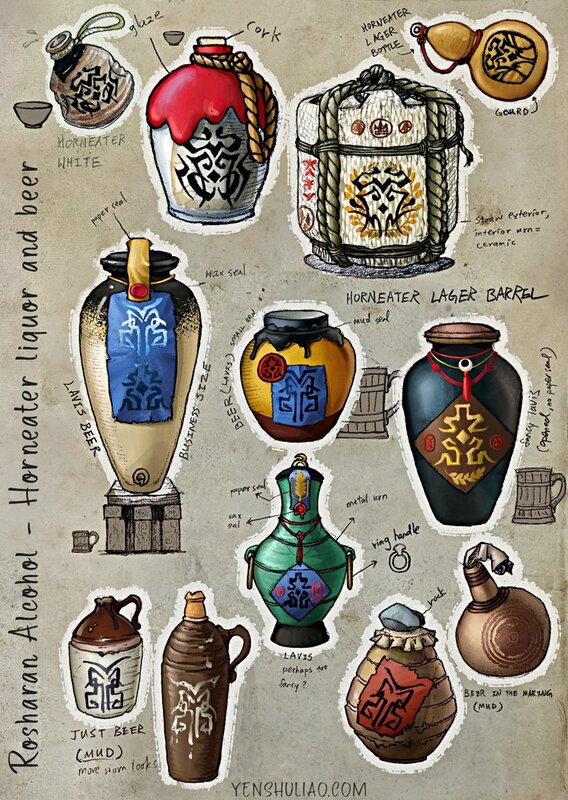 I never thought I would like drawings of wine this much! Thank you, hoid and Pessimistspren! @Botanica Eh heh heh ~ Thank you! I'm flattered!